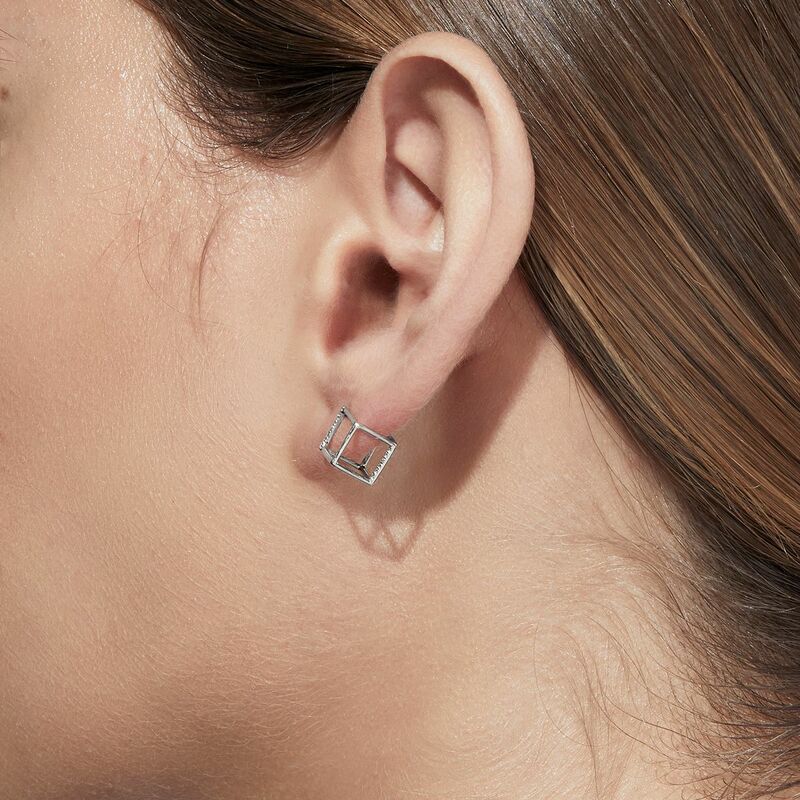 The three dimensional cubic form appears to float seamlessly around the earlobe when worn. Also suitable for cartilage piercings. 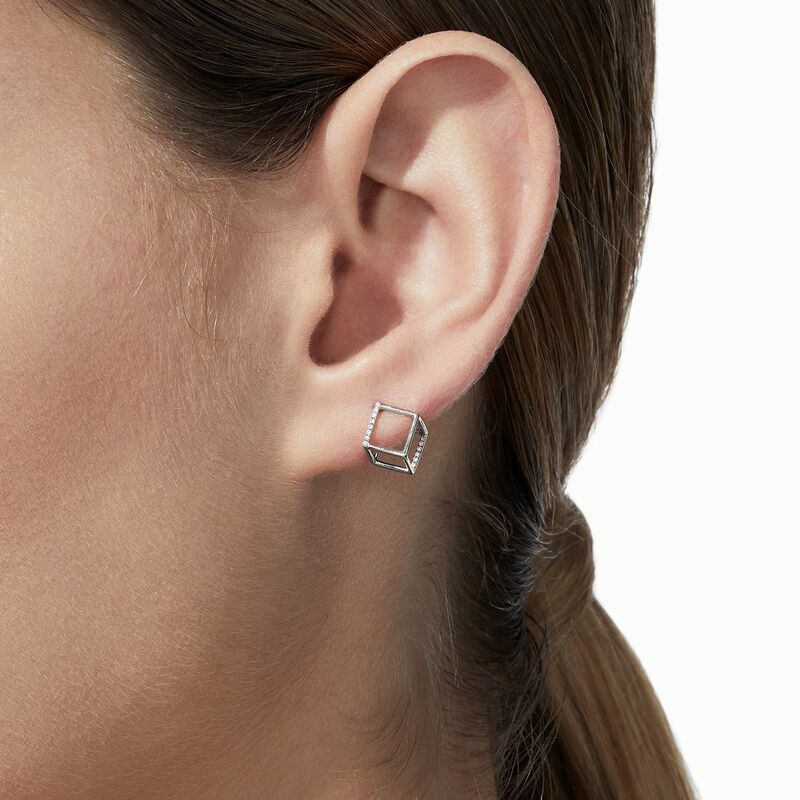 One side is an earring post and two lines are set with micro diamonds creating a subtle but luxurious effect. 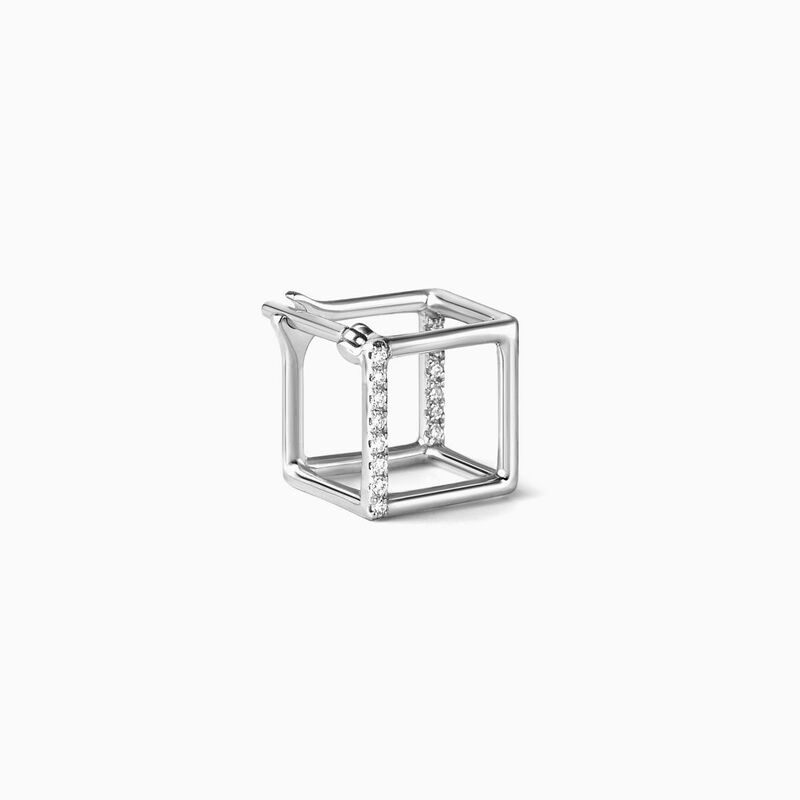 Available in 3 sizes (7mm/10mm/15mm).Due to the structure, there may be cases where you can not wear this size depending on the thickness of your ear lobe or the position of your pierced hole. We highly recommend choosing a size that is appropriate for your ear.